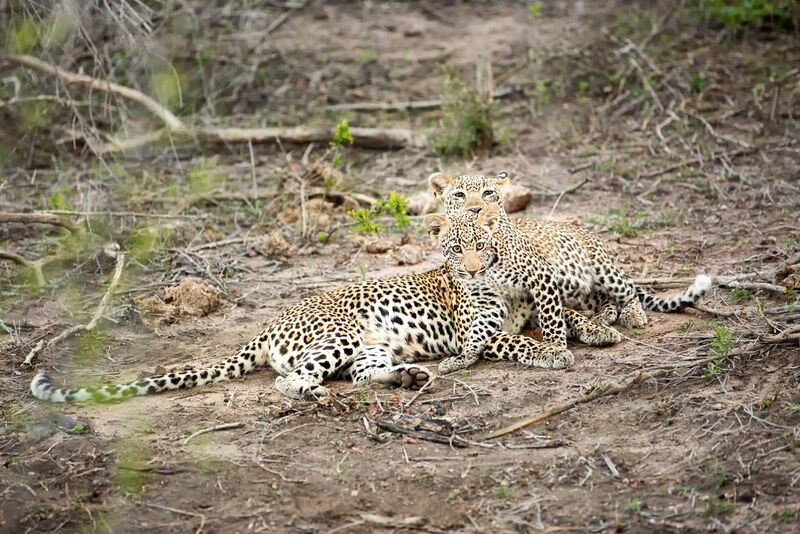 Leopard and cub share a moment together. After waiting to see a glimpse of a leopard's cub, the cub emerged from the bush and spent a few moments grooming with her mother. This photograph shows both animals looking directly at my camera. Date Uploaded: Nov. 26, 2016, 12:56 p.m.